Completing your CBT (Compulsory Basic Training) is the quickest way to get on the roads on a motorcycle or scooter. There’s no test involved and the training only takes one day. Any UK citizen with a valid UK provisional licence and passport from the age of 16 can complete the CBT. You’re spoilt for choice when it comes to taking your CBT test in Barking. SL Motorcycle Training of Dagenham, are the currently the closest CBT training centre. What makes SL different to most CBT training schools is that they’re MCIAC Approved, which means the training they provide is among the best in the country. They’re based just a short walk from Becontree station, which makes getting there a doddle. 1 Stop Motorcycle Instruction are based a little further away, between Ilford and Chigwell. The school is within walking distance of Fairlop station and they’re open seven days a week. Further east, Cardrome Motorcycle Training are based in Hornchurch and offer a wide selection of 50cc and 125cc machines for you to use for your training. As they’re based a little further out from London the roads are a little quieter - perfect for your introduction to two wheels. There are also CBT test centres located in Chigwell, Thamesmead, West Thurrock and Walthamstow. 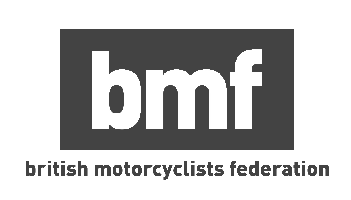 What can I ride after my CBT? If you complete your CBT at the age of 16 you will only be allowed to ride a motorcycle or scooter with a maximum capacity of 50cc and a 30mph top speed. Once you turn 17 you will be allowed to ride a motorcycle or scooter with a maximum engine capacity of 125cc, and a maximum power output of 11kW. Once you pass your CBT it is valid for two years. If you wish to continue riding after those two years, you will need to retake your CBT, or take your full motorcycle test. While you’re riding with just your CBT you will need to display L-plates on the front and rear of your bike. You won’t be allowed to carry a passenger, and you won’t be allowed to ride on motorways. Should I ride a motorcycle or scooter? When you take your CBT, you will be given the option of riding either a motorcycle or scooter. What you choose is upto you, but both types of bikes have their pros and cons in the real world. Scooters feature an automatic gearbox, which means they’re incredibly easy to use. Most scooters also feature a storage compartment under the seat, so you don’t have to worry about wearing a heavy backpack during your journey. Motorcycles on the other hand feature a manual gearbox, so you’ll have to learn how to use the clutch and gears. It’s not as simple as riding a scooter, and can take a little practice, but it offers more control over your speed and makes riding much more fun and engaging. Unlike scooters, motorcycles don’t feature any storage, so you’ll have to use a backpack or motorcycle-specific luggage.